Andrew S. Erickson, “Pentagon Report Aims to Lay Out Chinese Military Goals,” China Real Time Report (中国实时报), Wall Street Journal, 15 May 2016. With things heating up in the South China Sea and across the Taiwan Strait, Washington just attempted to shine some badly needed light on Beijing’s military efforts. Andrew S. Erickson, “Obama Pentagon’s Last China Report: Covers Most Bases Commendably, But Misses Maritime Militia,” China Analysis from Original Sources 以第一手资料研究中国, 14 May 2016. The end of an era… Friday’s Department of Defense (DoD) report to Congress on Chinese military and security developments is the last issued under the Obama Administration. Amid geopolitical uncertainty, it was a respectable final contribution. Nevertheless, it suffers from an unfortunate shortcoming. The Pentagon report rightly highlighted growing concern about Beijing’s mounting maritime coercion, but passed up a rare chance to connect it with a potent player flouting the rules of the game. China’s Maritime Militia, the irregular frontline sea force of “Little Blue Men” trolling for territorial claims, receives nary a mention. Like a trident with only one full-fledged prong, a report covering only one of China’s three major sea forces in depth—and ignoring one entirely—remains regrettably incomplete. There is, as well, the obligatory government messaging. Thus readers are assured that: “While the United States builds a stronger military-to-military relationship with China, DoD will also continue to monitor and adapt to China’s evolving military strategy, doctrine, and force development, and encourage China to be more transparent about its military modernization program.” Like other public U.S. government reports, this one reveals few details of Chinese computer network operations. Nevertheless, some cyber activities directed against its sponsoring institution in 2015 “appear to be attributable directly to China’s government and military.” Clearly, the Pentagon is not amused. As has been the case since its first iteration in 2002, however, the report’s greatest contribution lies in its provision of technical weapons specifications and other data often otherwise unavailable in publicly authoritative form. Concerning recent developments in the South China Sea, the report makes a robust contribution, offering unprecedented information in user-friendly text and graphics. Beijing’s eight outposts on the seven Spratly features it occupies are detailed in pages splashed with size comparison schematics, photos and statistics before and after augmentation and fortification, and facilities diagrams. While the report ignores China’s Maritime Militia (and its even-larger land-based counterpart), it offers several important points concerning Beijing’s other major “Gray Zone” force: the China Coast Guard (CCG). This agency has acquired “more than 100” new, improved, longer-range “ocean-going patrol ships.” Already the world’s largest blue water civil maritime force, “the CCG’s total force level is expected to increase by 25 percent.” A growing proportion of its ships will be able to embark helicopters, currently a rarity in the force. In the coming decade, the CCG will have greater ability to patrol and enforce China’s claims in the Near Seas (the Yellow Sea; and especially the East and South China Seas). The Pentagon offers no details behind these important bullet points, however; for that, you’ll have to consult the extensive scholarship of my China Maritime Studies Institute colleague Ryan Martinson. In keeping with an enduring focus on anti-surface warfare (ASUW),” China is modernizing its anti-ship cruise missiles (ASCMs) and their over-the-horizon targeting. In a widespread example of China improving on Russian systems that it accesses, digests, and emulates, its “newest indigenous submarine-launched ASCM, the YJ-18 and its variants” will be deployed on Song– and Yuan-class conventional submarines as well as Shang-class SSNs. Long a top-tier power in both areas, China is working hard to enhance its space systems and be able to threaten those of potential opponents. Space accomplishments for 2015 included the launch of 19 rockets bearing 45 spacecraft, including navigation, surveillance, and test satellites. The Long March (LM)-6 and the LM-11 “next generation” launchers debuted, the latter a militarily-relevant “quick response” system to orbit a small payload. A single LM-6 orbited 20 satellites, including four Xingchen femtosatellites weighing only 100 g each. Meanwhile, China’s Beidou/Compass positioning, navigation, and timing satellite network is on track to achieve global coverage by 2020. With this generally substantive report, the Obama Administration is not going gently into a good night, but it leaves its successor an already-overdue task. Congress should mandate that next year’s iteration include significant coverage of China’s Maritime Militia, as well as greatly-enhanced treatment of China’s Coast Guard. Only by understanding, publicizing, and countering the negative actions of all three of Beijing’s major sea forces can Washington ensure a positive future for the South China Sea and throughout the Asia-Pacific. A hefty report at 145 pages! Highly informative, well worth a read. It documents a rapidly developing Chinese military and paramilitary, inspired by a far-reaching “China Dream,” in the throes of ambitious reforms. Major missed opportunity: no mention of Maritime Militia whatsoever. On that vital topic, you’re still stuck with this next-best analysis. Two New Launch Vehicles: September 2015 saw the successful debut of both the Long March (LM)-6 and the LM-11 “next generation” SLVs. The LM-6 is a small liquid-fueled SLV designed to carry up to 1000 kg into low Earth orbit (LEO), and the LM-11is described as a “quick response” SLV designed to launch a small payload into LEO on short notice in the event of an emergency. China’s Largest Multi-Payload Launch and Smallest Satellites: The 19 September 2015 inaugural launch of the LM-6 SLV carried the largest number of satellites (20) China has ever launched on a single SLV. Most of the satellites carried onto orbit by the LM-6 were technology-demonstration satellites smaller than 100 kg. Furthermore, the four Xingchen femtosatellites launched aboard the LM-6 are the smallest Chinese spacecraft to date, weighing just 100 g each. The People’s Liberation Army (PLA) continues brisk, broad-based modernization. It has already achieved progress that the vast majority of militaries could only envy. In recent years, it has consolidated core capabilities. Increasing ability to exert leverage over disputed border areas, Taiwan, and unresolved island and maritime claims in the “Near Seas” (Yellow, East, and South China Seas). But is also developing a new outer layer of power projection and influencing capability, becoming far broader-ranging in operational scope. Efforts are underway to make the PLA a great power military with global reach, even if it will not be globally present or capable to U.S. standards. In what follows, I survey the report’s key findings before assessing its limitations, and its contributions writ large. 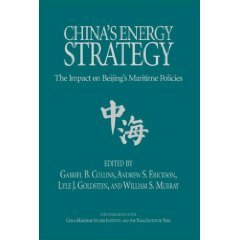 In the Near Seas, China is using low-intensity coercion to further its position in maritime and territorial disputes. Overall, DoD assesses, “PLA ground, air, naval, and missile forces are increasingly able to project power to assert regional dominance during peacetime and contest U.S. military superiority during a regional conflict.” Among the most sobering shifts is the erosion of many of Taiwan’s traditional defense factors by concerted PLA development and anofficial defense budget alone that is ten times greater than Taiwan’s. In a likely testament to identity factors that render cross-Strait issues complex, Taipei now spends only ~2% of GDP on defense, a target level for European members of NATO who face no such existential threat. In peacetime, Beijing uses incremental salami-slicing tactics to assert effective control over contested areas and features. In this regard, DoD highlights Chinese efforts to prevent Philippine resupply of Second Thomas Shoal, and mentions Luconia Shoals and Reed Bank as potential future flash points. To facilitate such gains while avoiding escalation to military conflict and direct U.S. intervention, ships from the consolidating China Coast Guard (CCG) man the front line. The PLA Navy (PLAN) remains ready back stage in a monitoring and deterrent capacity. Rapid South China Sea island reclamation stands to facilitate even more continuous presence for all such forces. China’s “whole-of-government” approach to sovereignty assertion, and the escalatory dangers therein, were underscored in 2014 when China National Offshore Oil Company began drilling with its HYSY-981 oil rig roughly 12 nautical miles (nm) from an island disputed with Vietnam and only 120 nm from Vietnam’s coast. There China announced a security radius six-times the 500 m safety zone allowed by the UN Convention on the Law of the Sea. It used “paramilitary ships” (CCG and fishing boats) to fend off Vietnamese vessels with water cannons and ramming, while PLAN ships conducted “overwatch” and PLA fighter and reconnaissance aircraft and helicopters patrolled above. In the Far Seas, Beijing is gradually extending its reach and influence with growing power projection capabilities and soft power influence. “The PLA’s growing ability to project power,” DoD judges, “augments China’s globally-oriented objectives to be viewed as a stakeholder in ensuring stability.” In 2013-14, China sent its “first” submarines to the Indian Ocean. A Shang-class (Type 093) nuclear-powered attack submarine conducted a two-month deployment. ASong-class diesel-electric submarine made the first foreign port visit by a PLAN submarine, calling twice on Colombo, Sri Lanka. Far more than their ostensible contribution to PLAN counter-piracy escorts, these new steps offered valuable area familiarization and operational experiences to Chinese undersea forces, while producing a new symbol of Chinese power projection in service of sea lane security. Meanwhile, the PLA is increasing its soft power by training foreign military officers, including those from “virtually every Latin American and Caribbean country” at its Defense Studies Institute. China’s defense industry has improved remarkably overall. “Over the past decade,” DoD judges, “China has made dramatic improvements in all defense industrial production sectors and is comparable to other major weapon system producers like Russia and the European Union in some areas.” Still, its capabilities remain uneven and patterns of disparity prevail. Following a decades-long pattern, China’s space and ballistic and cruise missile sector remains firmly in the lead. There are many concrete manifestations of its superiority. China has deployed 1,200+ short-range ballistic missiles (SRBMs) opposite Taiwan. The CSS-5 Mod 5 (DF-21D) anti-ship ballistic missile (ASBM) it has “fielded” in small numbers “gives the PLA the capability to attack ships in the western Pacific Ocean” “within 900 nm of the Chinese coastline.” Its ICBM units are benefitting from improved communications links. The DF-5 ICBM is equipped with multiple independently targetable re-entry vehicles (MIRVs), and the new-generation DF-41 under development is “possibly capable of carrying” them as well. China is also developing hypersonic glide vehicles, and tested one in 2014. It boasts the JF12 Mach 5-9 hypersonic wind tunnel, reportedly the world’s largest. To support what has been “extraordinarily rapid” development of conventionally armed missiles and other long-range precision strike (LRPS) capabilities, as part of the “world’s most rapidly maturing space program” China is lofting surveillance satellites in rapid succession.Gaofen-2, launched in August 2014, became “China’s first satellite capable of sub-meter resolution imaging.” It plans to launch successively improved variants of this satellite in coming years. China gained the ability to send even greater payloads to even higher orbits with the completion of a fourth satellite launch facility, Wenchang on Hainan Island, in 2014. Launches of the Long March-5 and -7 heavy lift boosters are scheduled to commence there by 2016. Even as it increases its own use of space assets for military purposes, China is strengthening its ability to hold those of potential opponents such as the United States at risk. It is developing a range of counter-space weapons. Unusual launch patterns and activities in space suggest efforts to test such capabilities. When queried by Washington about these actions, Beijing declines to disclose details. Meanwhile, the PLA emphasizes electronic warfare capabilities, and is deploying “jamming equipment against multiple communication and radar systems and GPS satellite systems” on sea- and air-based platforms. Chinese cyber capabilities have recently joined the top tier as well, with DoD long subjected to numerous intrusions. Beijing is also attempting to use its position in the Shanghai Cooperation Organization and other international fora to promote conditions whereby sovereign states can wield greater control over cyberspace governance, both within their borders and even beyond. Maritime hardware comes next. Warship quantity is impressive: “The PLA Navy now possesses the largest number of vessels in Asia.” But quality is emphasized even more; China is replacing older platforms with newer, more capable ones. China’s shipbuilding industry has finally begun series production of multiple vessel classes. The Luyang-III-class (Type 052D) destroyer, which first entered service in 2014, has a vertical launch system capable of firing anti-ship cruise missiles (ASCMs), land-attack cruise missiles (LACMs), surface-to-air missiles (SAMs), and “antisubmarine missiles.” The Type 055 guided-missile cruiser slated to begin construction in 2015 will wield similar armaments. These include the submarine- and ship-launched YJ-18 ASCM, which DoD terms a “dramatic improvement” over the already-potent SS-N-27 that China previously purchased from Russia with eight of twelve Kilo-class submarines. This will greatly strengthen area air defense capabilities: Chinese naval task forces will increasingly be able to take a protective “umbrella” with them to distant seas far removed from the 300 nm-from-shore envelope of China’s extensive land-based Integrated Air Defense System (IADS). In addition, DoD judges that such warships may be close to fielding LACMs, which would give the PLAN its first capability to strike shore targets Tomahawk missile-style. While civil maritime vessels are far less sophisticated than their naval counterparts, and typically lack major armaments, within this lower-intensity context the CCG is enjoying a buildup far more quantitatively impressive than that of the PLAN. It is already the world’s largest blue-water coast guard fleet, with more hulls than all its neighboring counterparts combined—and that includes the rightly-respected Japan Coast Guard. From 2004-08, it added nearly twenty ocean-going patrol ships; by the end of 2015, it is projected to have added another 30+ new vessels of this type. Together with the construction of “more than 100 new patrol craft and smaller units,” this will produce a total force level increase of 25%—growth simply unparalleled anywhere else on the world’s oceans. And that is even as many older platforms are replaced by new, improved ones; with many more having helicopter embarking capability than previously. China “is the only country in the world other than the United States to have two concurrent stealth fighter programs.” DoD anticipates the maiden flight of the fifth J-20 low-observable fighter prototype in 2015, while the J-31 fighter may be offered for export. Variants of the Y-20 transport—which may be commissioned in 2016—could provide badly needed troop movement, refueling, and airborne early warning and control (AWACs) capabilities. New variants of the venerable H-6 bomber have been exquisitely retrofitted to serve as tankers and to carry significant weapons load outs, including the YJ-12 supersonic ASCM and the CJ-20 LACM. Finally, as part of China’s IADS, the PLAAF also maintains one of the world’s largest forces of advanced long-range SAMs. China is not as strong in SAMs as it is in other ballistic (and cruise) missiles, but is acquiring the long-range S-400 system from Russia, even as it continues to develop long-range indigenous systems such as the CSA-9 for IAD and ballistic missile defense (BMD). Ground force materiel is typically last in sophistication, although the report offers few specifics. It does draw attention to China’s prioritization and rapid deployment of internal security forces. This pattern has only intensified in response to dozens of deaths from domestic unrest and terrorism in recent years, particularly in conjunction with Xinjiang. On the hardware side, China is still missing some critical technologies, industrial processes, and related knowhow. It “continues to lack either a robust coastal or deep water anti-submarine warfare capability,” and its ability to collect and disseminate targeting information in real time under wartime conditions remains uncertain. Through determined multi-pronged effort, however, Beijing is progressively closing many of the remaining gaps. It continues to obtain significant technologies, components, and systems from abroad. As in the 1990s (albeit to a less extreme degree today), Russian and Ukrainian economic woes facilitate Chinese access to advanced expertise and systems (including S-400 SAMs, Su-35 fighters, and the Petersburg/Lada-class submarine production program from the former; assault hovercraft and aeroengines from the latter). Much technology acquired for commercial aircraft and other civilian programs has military applications. Along the way, DoD documents multiple cases of Chinese nationals seeking to transfer foreign technology illegally. Finally, China is consolidating its own state S&T research funding. Having bet big on nanotechnology, for instance, it now trails only the United States in research funding for that field. Amelioration of software weaknesses requires laborious human capital investment and wrenching organizational reforms, but the PLA and its civilian masters are clearly determined to prevail even here. As part of enhancement of training realism emphasized by Xi, the PLA is increasing “joint” pan-Military Region exercises. Further reforms likely under consideration include reducing non-combat forces and the relative proportion of ground forces; elevating the proportion and roles of enlisted personnel and non-commissioned officers vis-à-vis commissioned officers; bolstering “new-type combat forces” for naval aviation, cyber, and special operations; establishing a theater joint command system; and reducing China’s current seven Military Regions by as many as two. Like many products of complex bureaucratic exercises amid far greater competing priorities, this report suffers slightly from omissions, small weaknesses, and inconsistencies. 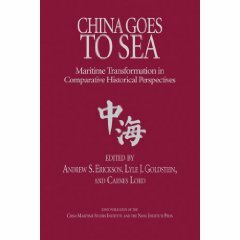 The Maritime Militia, an important component of China’s Cabbage Strategy of enveloping disputed features in layers of non-military forces that opponents might hesitate to use force against, is not mentioned once. With regard to shipbuilding, DoD’s broad brushstrokes obscure lingering unevenness. It names China “the top ship-producing nation in the world,” but omits the critical qualifier that this is in terms of gross commercial tonnage; not sophistication, systems, technology, or quality. Ranges quoted for anti-ship cruise missiles are not explained; some may be debatable in practice depending on the assumptions used to calculate them. Likewise unexplained is DoD’s methodology for calculating China’s total 2014 military spending at $165 billion (against the official figure of $136.3 billion for that year). Moreover, Pentagon reports are typically stronger in analyzing hardware than software, and this one is no exception. The disparity manifests most prominently in two instances. First, DoD offers incomplete, seemingly uncritical analysis of the “new type of major power relations” advocated by Xi Jinping and other Chinese officials. This may be part of a larger pattern in which the Obama Administration has fallen into the trap of appearing to embrace this loaded meme, whichcarries Chinese expectations of Washington accommodating China’s “core” sovereignty interests without reciprocal concessions from Beijing. It is arguably somewhat disjointed for DoD to express such significant concerns about Chinese weapons systems, while avoiding critical analysis of some of the very policy approaches that inform their threatened worst-case use. Second, the report misses a chance to put in full context the important keynote address that Xi delivered at the CCP Central Foreign Affairs Work Conference in 2014. While the full text remains unavailable in public, subsequent bureaucratic activities and official statements suggest that it may represent a watershed in Xi’s exhorting officials to propose more considerably more assertive external policies. Given the clarity it brings to details of Chinese security hardware, it is unfortunate that DoD could not shed more light on the high-level policies that inform its development and employment. All told, however, DoD’s 2015 report continues its useful contribution to vital public knowledge of China’s military-security development. It is far more substantive than any public Chinese documents, including the much-touted Defense White Papers. Such knowledge remains far more limited than the vast sea of information available to anyone interested in the U.S. military, a great proportion of which is translated into Chinese on a regular basis. Chinese government spokespeople will now predictably denounce DoD’s publication self-righteously in official media, but their talking points will appear generic, as if merely dusted off from years past. Behind this querulous façade, and unwillingness to engage the report’s specifics, likely lies an inability to disprove anything more than a few technicalities. What apparently bothers Beijing far more than any facts revealed is the very notion that Washington would have the temerity to bring transparency and open discussion to the state and trajectory of what is now the world’s second military by many measures. All the more reason why DoD’s slightly imperfect yet irreplaceable contribution is invaluable yet again. The U.S. Defense Department’s new assessment of China’s fighting ability paints a picture of a force in the midst of a broad-based modernization at a pace that other militaries would envy. It has increased its ability to exert leverage in the East and South China seas, where it is in territorial disputes with its neighbors. Significantly, it has also added to its ability to project its power further afield, adding to the global reach of the People’s Liberation Army. Andrew S. Erickson, “Pentagon Releases ‘Military and Security Developments Involving the People’s Republic of China 2014’,” China Analysis from Original Sources 以第一手资料研究中国, 5 June 2014. Andrew S. Erickson, “Unpacking the Riches of the Pentagon’s China Report,” China Real Time Report (中国实时报), Wall Street Journal, 7 May 2013. 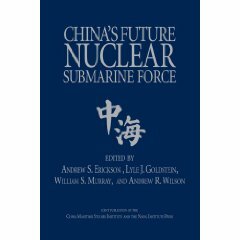 Andrew S. Erickson, “DoD ‘Military and Security Developments Involving the People’s Republic of China 2013’ Report Just Released,” China Analysis from Original Sources 以第一手资料研究中国, 6 May 2013. Gabe Collins, “12 Things Missing from China Report,” The Diplomat, 1 June 2012. Andrew S. Erickson, “Key Quotes from 2011 DoD Report on China’s Military,” China Analysis from Original Sources 以第一手资料研究中国, 24 August 2011. Andrew S. Erickson, “Key Quotes from 2010 U.S. Department of Defense Report on China’s Military,” China Analysis from Original Sources 以第一手资料研究中国, 17 August 2010. 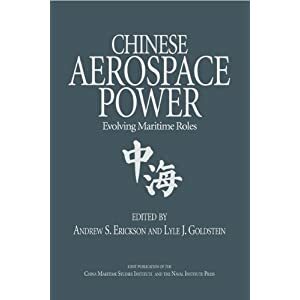 Andrew S. Erickson, “ASBM-Relevant Content from 2010 U.S. Department of Defense Report on China’s Military,” China Analysis from Original Sources 以第一手资料研究中国, 17 August 2010.